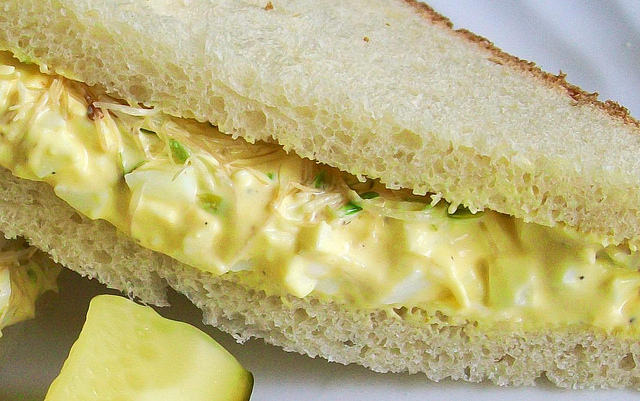 Everyone loves a good egg salad sandwich, but sometimes the recipe can be rather dull. Wow your friends at your next lunch gathering with two new, healthy egg salad recipes- Pesto Egg Salad and Creamy Egg Salad with Capers. Both are healthy, simple to make, and guaranteed to surprise your guests. Blend all pesto ingredients in a food processor until smooth. Slice celery into small chunks. Mix eggs, celery, yogurt, and pesto. Salt and pepper to taste. Serve on sourdough bread. Chop eggs and combine with mayo, mustard, celery, capers. Add salt and pepper to taste. Stir it all together until thoroughly mixed. Serve on bread with tomatoes and red onion. You can serve these sandwiches on whole grain wheat bread, baked with grains milled fresh every day. At Great Harvest Bread Company in Spokane, WA, we bring you the freshest, healthiest, best-tasting breads in town. We offer a wide variety of breads and other baked goodies. Make sure to not miss out on tomorrow's batch and call us today at 509-535-1146. Ask about all of our whole grain options.